Nowadays, more and more homeowners are opting for induction ranges in their kitchens due to the convenience, safety and efficiency they offer. But, when you make the switch to this kind of range, it means that you have to make a switch with your cookware, too! 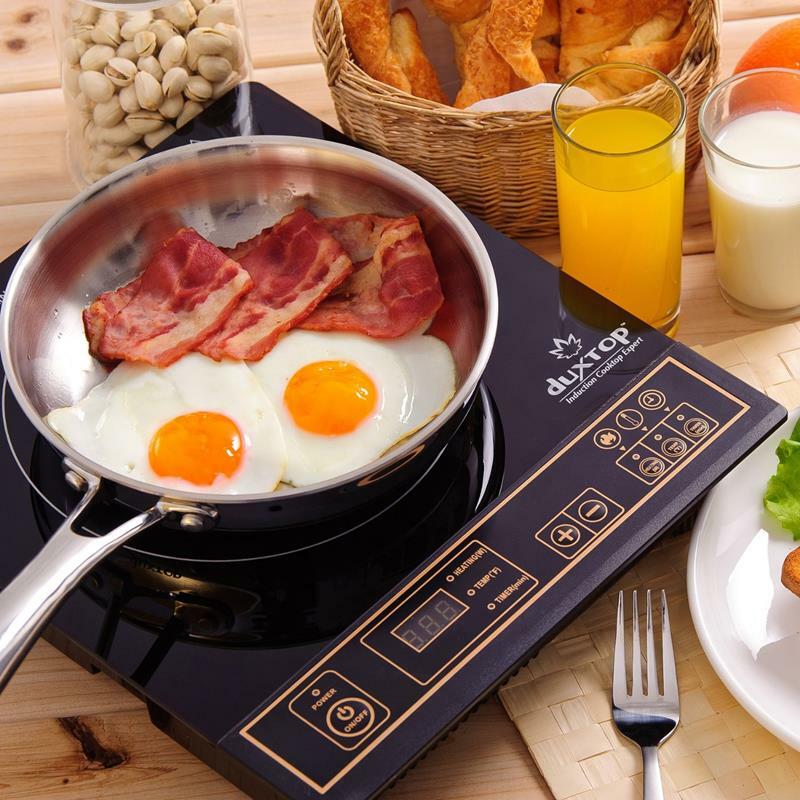 While it’s true that some cookware that you already have might work with your induction cooktop, nothing compares to having a complete induction cookware set. Below, we’re going to share our picks for the best induction cookware. Starting off with an overview of induction ovens and the different options available for cookware, we’ll be sharing our top picks in three important categories. First, we’ll discuss our pick for the best induction cookware set that won’t break your budget, the Duxtop Professional 17-Piece Stainless Steel Cookware Set. 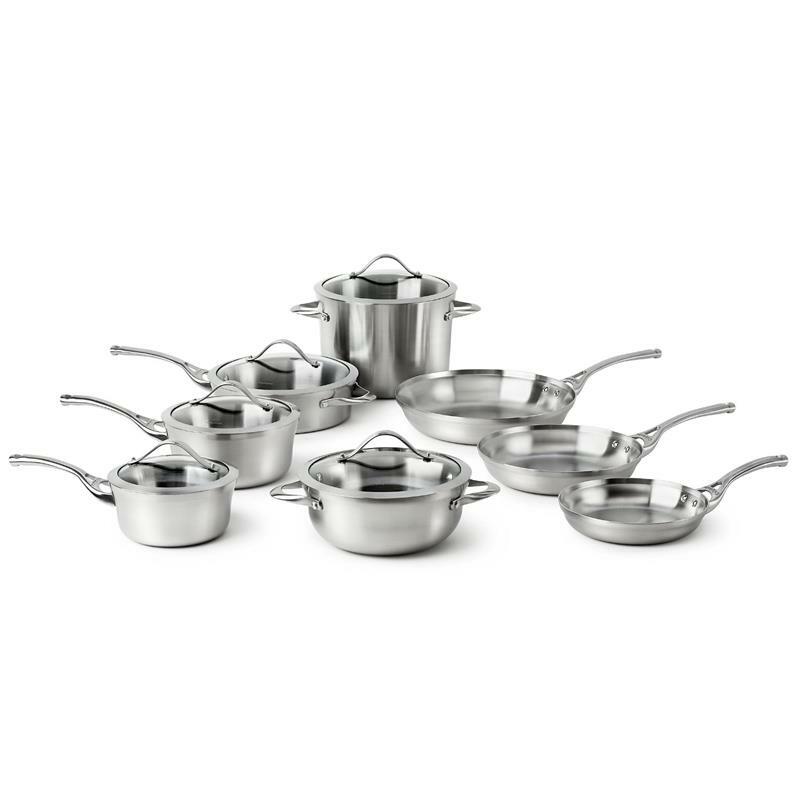 Then we’ll talk about our pick for the best induction cookware set all around, the All-Clad D5 Brushed 18/10 Stainless Steel 5-Ply Bonded 7-Piece Cookware Set. Finally we’ll talk about our favorite upgrade pick, an absolutely stunning set of All-Clad induction cookware that you just have to see. But that’s not all we’ll be covering! We’ll also talk about some of the other cookware sets that we tested in order to arrive at our picks. Also, we’ll share some great single pieces of the best induction cookware that you just might wish to add to a complete set. What Kinds of Induction Cookware Come in a Set? Whether you’re purchasing a cookware set for a regular range or one for an induction cooktop, there can be little doubt that your purchase will likely be a significant investment. Cookware doesn’t come cheaply, especially if you’re looking for a set that’s going to last you for many years to come. That’s why we’ve taken a wide assortment of different cookware sets into consideration, putting each through its paces. We’ve tested for durability, we’ve seen how these sets stand up to repeated washing, and we’ve cooked more food than we’d care to list. In the end, we got a little dirty in the kitchen, but we think we’ve identified the best induction cookware sets that should work perfectly for your cooktop! But, we understand that we don’t have a monopoly on knowledge in this area. That’s why we also looked into reviews put together by average home cooks like you, as well as those put together by culinary experts from around the globe. When combined with our hands-on experience with these cookware sets, we can say with great confidence that we’ve identified the best induction cookware sets out there. Originally gaining popularity in Europe, induction cooktops are becoming the choice in an increasing number of households in the United States. The main selling point of these cooktops is that they use significantly less energy than traditional gas ranges and most especially electric ranges. But, there are other benefits, too. To understand those benefits, we should first talk about how induction cooktops work. Without getting too scientific, the barebones breakdown is this: Beneath the ceramic range top, you’ll find a number of electric coils. When turned on, these electric coils create an oscillating magnetic field, which then interacts with magnetic metals of the pots and pans that are placed on top of the field. Put another way, the magnetic field induces the electrons present in the metal of the pots and pans to become excited, thereby generating heat. This induction method for generating heat is why these cooktops are not hot to the touch when turned on, but still able to heat up pots and pans. The safety component of this is certainly one of the benefits afforded by induction cookware and cooktops. But, there’s another benefit, too. The induction method is actually more efficient than the traditional method (conduction) for generating heat in pots and pans. For this reason, you’ll find that an induction cooktop is able to get your cookware hotter in much quicker time than even a gas range. The second drawback to induction cooking is that it can be somewhat more difficult to control heat while you’re cooking. To be sure, you’ll eventually get a feel for your range and how much heat is generated at which settings. But, if you’re a person that craves control when cooking gourmet dishes, you’ll definitely find its much more difficult, at least at first, to control the heat with an induction cooktop than you would with a traditional gas range. Still, for the vast majority of consumers, induction cooktops make sense. They’re faster, they’re more efficient, and they’re demonstrably safer than other cooktop options. It’s sometimes difficult to compare different induction cookware sets with one another due to a simple fact. Different sets come with different numbers of cookware, and the number of cookware pieces doesn’t always correspond to the price. 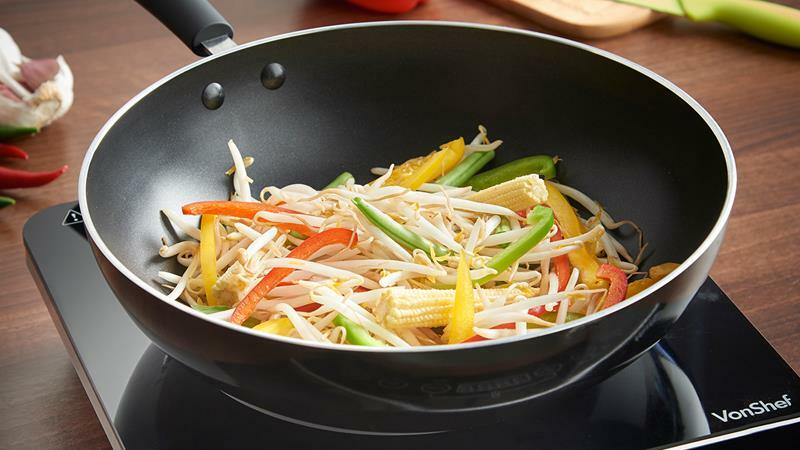 When choosing an induction cookware set for yourself, the first thing you’ll want to consider is your cooking style. If you’re the kind of person that’s training to be the next Masterchef, then obviously the more the merrier. However, if you’re a person that generally keeps things simple but wants to make sure you have the right cooking hardware, then you can absolutely get away with an induction cookware set that’s shorter on pieces but longer on quality. 12-Inch Straight-Sided Sauté Pan: When you’re cooking a large amount of food or searing a large amount of meat, this is going to be the pan that you reach for. 10-Inch Skillet or Fry Pan: You can call this one old reliable. Whether you’re sautéing vegetables or perfectly searing off a choice piece of steak, this piece of cookware is essential. Stockpot: Every kitchen needs one of these. Period. Whether you’re actually using it to make homemade stock or simply whipping up a spaghetti dinner for the extended family, this thing is invaluable. 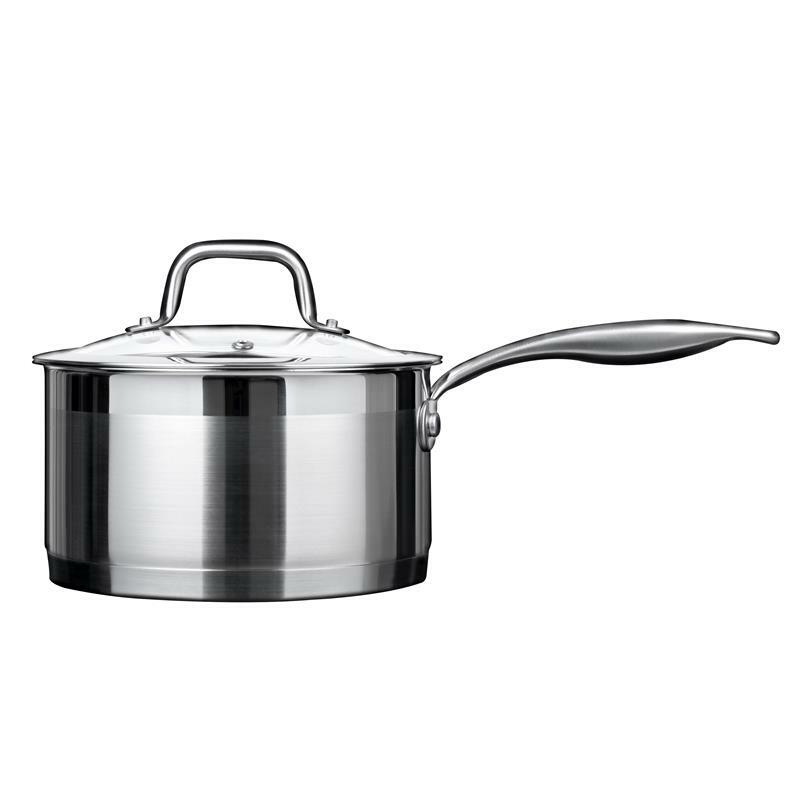 2- or 3-Quart Saucepan: Here’s the real workhouse of any kitchen cookware set. You’ll be using this for everything from whipping up sauces to steaming vegetables. Of course, the pieces of cookware outlined above are just the tip of the iceberg. There are bigger and smaller sauté pans, things like woks and Dutch ovens, and even non-stick and cast-iron pots and pans. Look: Let’s face it; the style of the cookware you choose is going to say something about the way your kitchen looks. That’s why we’ve taken the aesthetic quality of induction cookware sets into consideration. Feel: But cookware is about use – everyday use for most of you. Therefore, we looked to see how these pots and pans feel in the hand. Are they heavy? Do the handles heat up easily? Are they comfortable to use? Conductivity: The benefit of owning an induction cooktop is that you can get your pans good and hot in a fraction of the time you might be used to. Of course, not all induction cookware sets are created equally in this department. Durability: Like pots and pans for traditional ranges, induction cookware covers the gamut in terms of quality. We put pots and pans through their paces, finding those that will stand up to even the heaviest use. Maintenance: Any cookware set is only good if you can keep it clean. We took a look at how easy it was to keep these various cookware sets looking like they just came out of the box. All three of our picks excel in this department. Value: Although value is in the eye of the beholder and based upon how you’ll actually use your induction cookware, we did our best to judge which sets offered the best bang for your buck. As we mentioned above, some manufacturers of induction cooktops will try to trick you into purchasing their own branded cookware. They say that it’s their cookware that’s been expressly designed to work specifically with their induction cooktop… They’re lying. There’s only one criterion for any piece of cookware that needs to be met in order for it to work successfully on an induction cooktop; it needs to be magnetic! If you’re wondering what we’re talking about, then simply go over to your refrigerator and pull a magnet off of it. Then pull out some of your pots and pans and hold up that magnet to the bottom of those pots and pans. 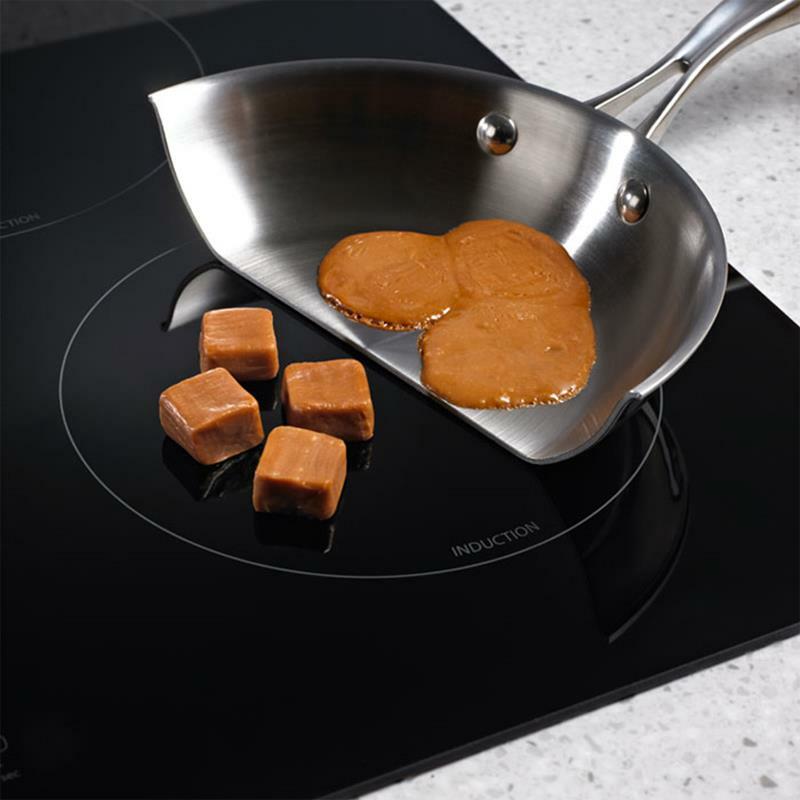 If the magnet sticks, then you’ve found a pot or pan that can be used on your induction cooktop. It’s a simple as that! Of course, this means that there are certain kinds of cookware materials that will not work. Most notably, you will not be able to use glass, aluminum or copper cookware with your induction range. In addition, some stainless-steel cookware will not be able to work with your induction range, as some stainless steel is not magnetic. Stainless Steel: “Hey, you just said that stainless steel won’t work!” Well, some of it will actually. It all depends upon whether there is iron present in the stainless steel or not, or if the pots and pans are multi-ply with a magnetic core. With the benefits of stainless steel pots and pans well known, this makes induction cookware sets made from this material highly desirable. Cast Iron: Speaking of cookware materials that people like to work with, there’s also cast iron. If you’ve got a seasoned cast-iron skillet that you simply can’t part with, then don’t despair. It WILL work on your induction range in almost all cases! 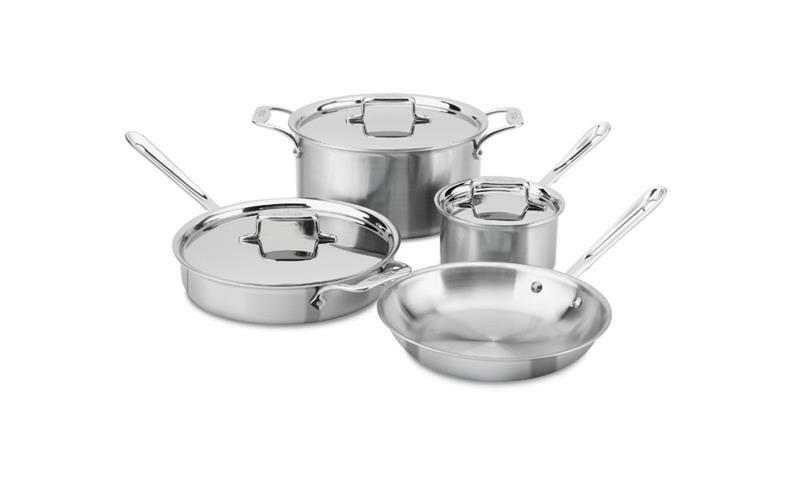 Heavy-Bottom Aluminum: Some aluminum cookware sets can work with induction cooktops. However they have to have a heavy and magnetic steel base in order to do so. The drawback with aluminum, though, is that the material can leech into food, particularly with acidic items like tomatoes. Ceramic-Clad: With some exceptions, most ceramic pots and pans actually have magnetic iron shells inside of them. Because of this, they can be operated successfully on an induction range. This is good news for those of you who enjoy cooking with Dutch ovens. Non-Stick: No kitchen is complete without at least one non-stick skillet, and some folks prefer to work with non-stick cookware entirely. Provided the non-stick cookware has a magnetic bottom or core, then it will be perfectly fine to use on an induction cooktop. However, for the purposes of choosing the best induction cookware overall, we’ve confined our search to solely to stainless steel sets. With high-quality stainless steel induction cookware, you get great heat conduction along with a number of other benefits. Most notably, stainless steel cookware is incredibly durable and able to cook anything you throw its way without degrading. Overall, it is the best material for a dedicated induction cookware set. There’s more, though! For those who want to steam vegetables, there is a steamer basket for the stockpot as well as a double boiler basket. In addition, the set comes with an assortment of lids, as well as a stainless-steel set of kitchen tools, including a slotted spoon, fork and spatula. Now, this set of stainless-steel induction cookware isn’t going to win any design awards for its aesthetic beauty. However, you will find that each piece is hefty and pleasurable to hold. We particularly appreciated the satin finish that’s applied to the handles, which makes these pots and pans quite comfortable in the hand, something you’ll appreciate if you’re slaving over the stove for an extended period. 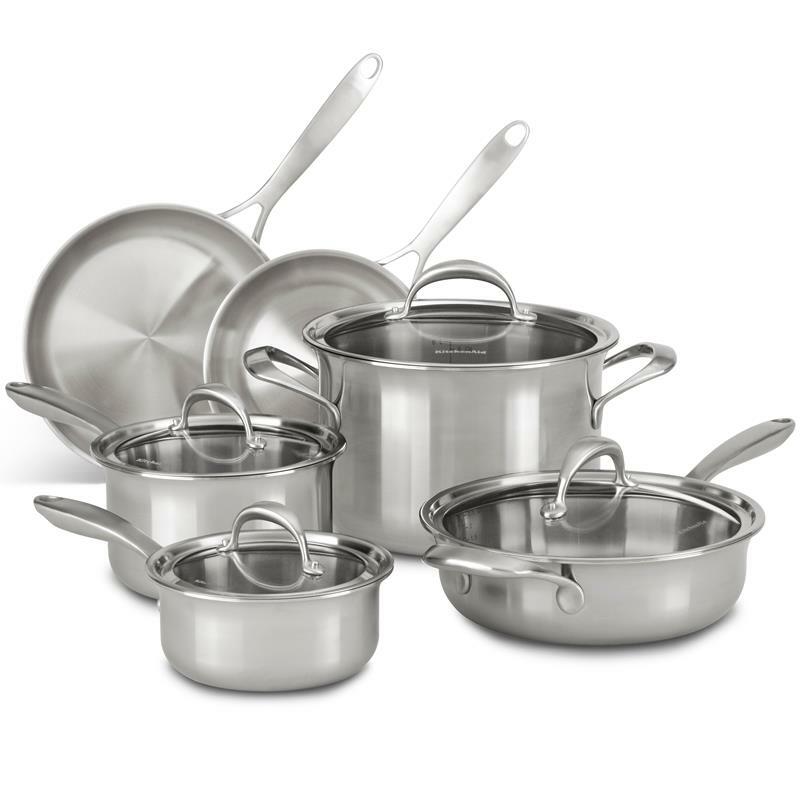 The pots and pans are made from high-quality 18/10 commercial-grade stainless steel, just like you’ll find in our upgrade and best picks. However, these pots and pans are not multiple ply, as you might like to see. 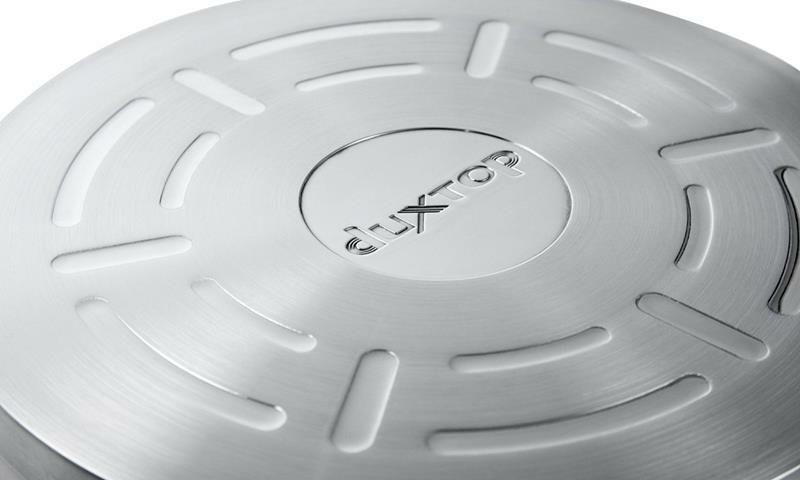 Instead, they feature bonded aluminum bottoms, which does allow for use on induction cooktops. This thick bottom also does help to maintain a somewhat even distribution of heat. However, if you’re at all accustomed to higher-quality cookware, you will notice a difference here. In our experience there were some hot and cold spots, particularly with the larger sauté pan. This induction cookware set is incredibly easy to clean. Of course, you can wash everything easily by hand, but you’ll be happy to learn that everything is dishwasher safe and holds up well when it’s washed in this manner. In addition, these pots and pans can be put into the oven at temperatures up to 550 degrees, and they’re safe for the refrigerator. If you think that this induction cookware set might be right for your needs, then you can snag one through Amazon right here! If you had to guess what brand we were going to pick for the best overall induction cookware set, we bet you would have said All-Clad. Well, you’re right! We’re going with an absolutely great induction cookware set, the All-Clad BD005707-R D5 Brushed 18/10 Stainless Steel 5-Ply Bonded 7-Piece Cookware Set. 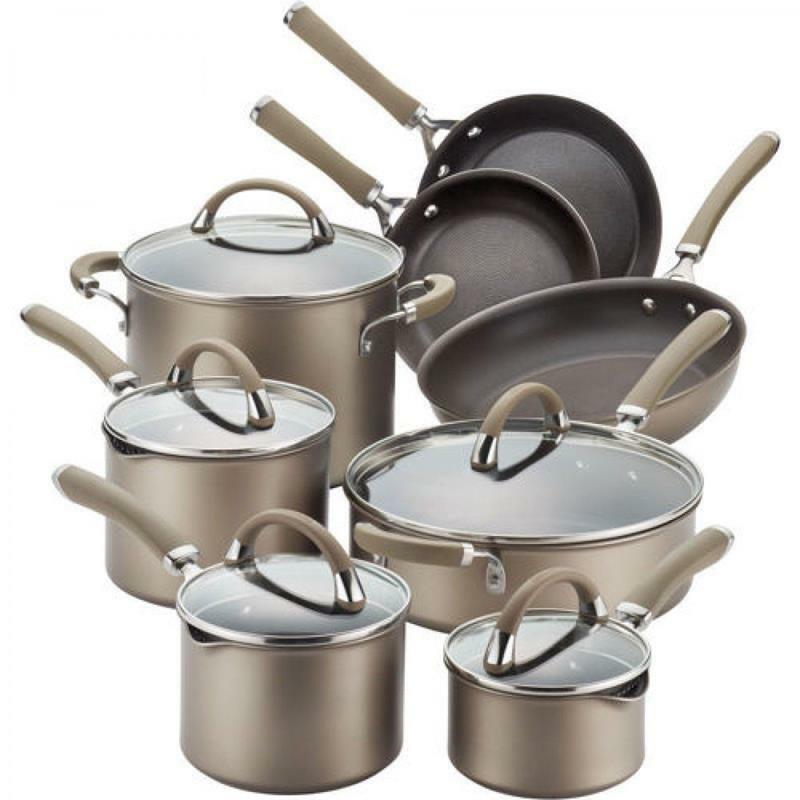 While not the largest set you can get in this style (there are a 10-piece and 14-piece set available), the price is absolutely right for this set of All-Clad Cookware. 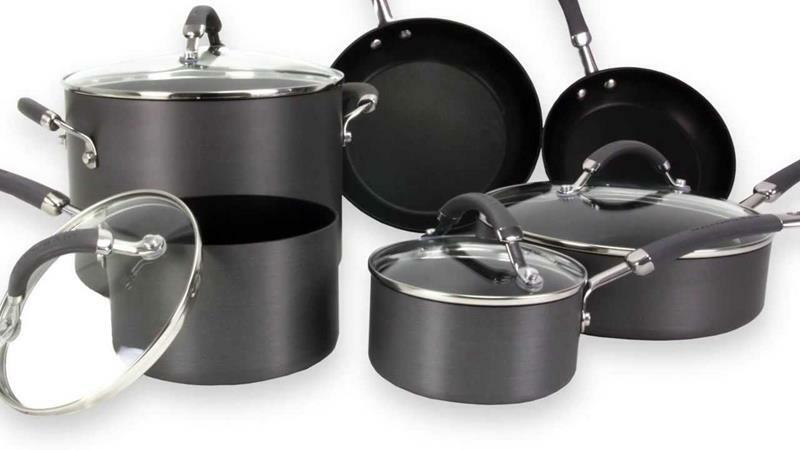 With an MSRP of $699.95, this is an excellent place to get started if you really want to build a professional set of cookware for your home kitchen. Best of all, you can typically find this set on discount (uncommon for All-Clad cookware). As of this writing, it’s currently going for $599.95 on Amazon, making it less expensive than some lower-quality induction cookware sets in the same range. 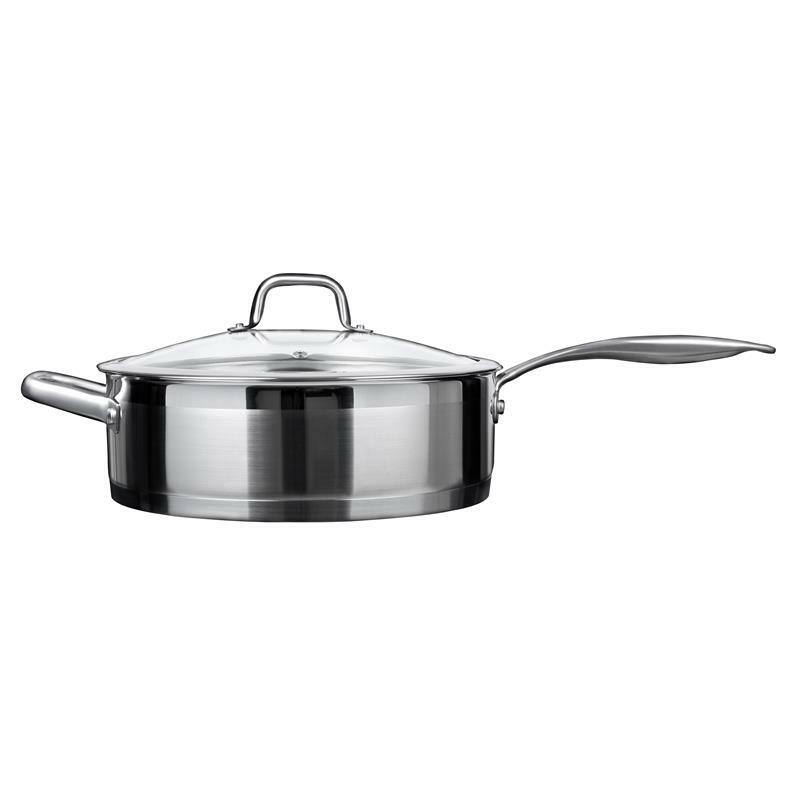 The pots and pans are 5-ply, with magnetic stainless steel forming the outer shell. They feature an extra stainless steel core that’s surrounded by aluminum on both sides, with the interior cooking surface made from 18/10 stainless steel. The stainless-steel and aluminum core is the real standout here, as it allows for the even distribution of heat, resulting in no hot spots in the pots and pans. Needless to say, you won’t have to worry about getting an even cook on anything you put into these puppies! But here’s the thing that’s really important. The specifics of this 5-ply design mean that this All-Clad set has been optimized for use on induction cooktops. While any set of All-Clad cookware will work excellently on induction cooktops, this set is the best. As with other pieces of All-Clad cookware, the real standouts here are the look and feel. The brushed steel on the outside has a wonderful and luxurious sheen, while the sunburst finish of the steel on the cooking surface oozes the quality you’d expect from induction cookware at this price point. Both the pots and the pans feature tapered edges, which allow for dripless pouring, something adventurous home chefs will appreciate. In addition, the riveted handles are comfortable to hold and do an excellent job of keeping heat away, meaning you won’t have to worry about burning your hands while you’re deep into preparing a meal. We put these pots and pans through their paces, and they held up to everything we threw their way. Best of all, they were incredibly easy to clean, thanks in no small part to the stick-resistant cooking surface. While we absolutely recommend taking care of a nice induction cookware set like this by hand washing only, these pots and pans are dishwasher safe and hold up well when they’re washed in this manner. If you’re worried about popping these pots and pans into the oven, don’t. They’re able to withstand even the broiler, as they’re rated to withstand temperatures of up to 600 degrees. Likewise, you can store these pots and pans in the refrigerator if necessary. If you agree with our assessment and believe that the All-Clad D5 Brushed 18/10 Stainless Steel 5-Ply Bonded 7-Piece Cookware Set is the best induction cookware set on the market, then you can pick up a set for yourself at Amazon! 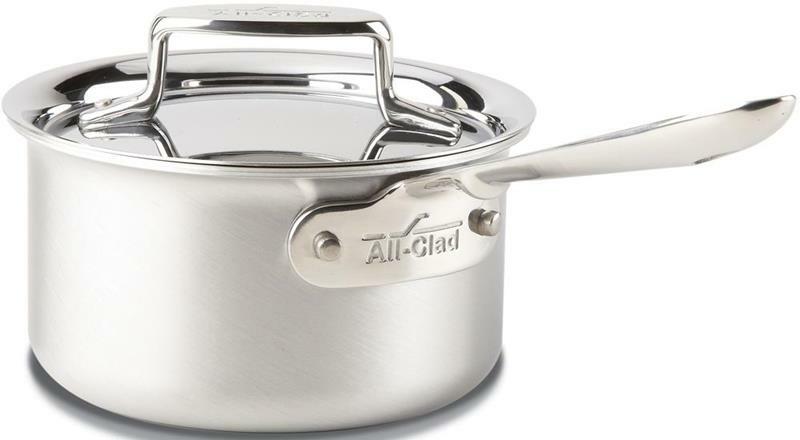 When price is no object, and you’re looking to get the absolute best on the market today, then there’s really only one choice: All-Clad. 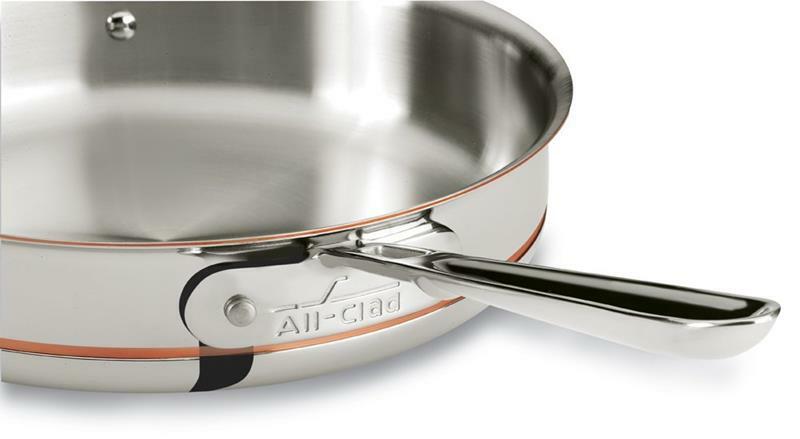 Simply put All-Clad’s 600822 SS Copper Core 5-Ply Bonded 10-Piece Cookware Set is the best induction cookware set on the market today. Hands down. Period. Of course, we haven’t gotten to the price yet, and this may become the deal breaker for you. This 10-piece set comes with an MSRP of $1,299.99, easily more expensive than the other two induction cookware sets we considered above. In our eyes, the price is the only real drawback for the set. That’s it. In the looks department, these pots and pans are real beauties. The stainless steel absolutely glistens in even the dullest light, and that look doesn’t degrade over time thanks to the incredible high quality of the steel used for the cookware’s outer coating. Note also the copper detailing around the edges of the pots and pans; it’s a nice touch that gives this induction cookware set a distinctive look that absolutely oozes luxury. As the name implies, though, these pans are 5-ply, featuring a magnetic steel exterior that allows them to be used quite effectively on induction ranges. In addition, there is a copper core surrounded by conductive aluminum that ensures these pots and pans stays evenly heated throughout, meaning you’ll get an even cook on anything you throw in. 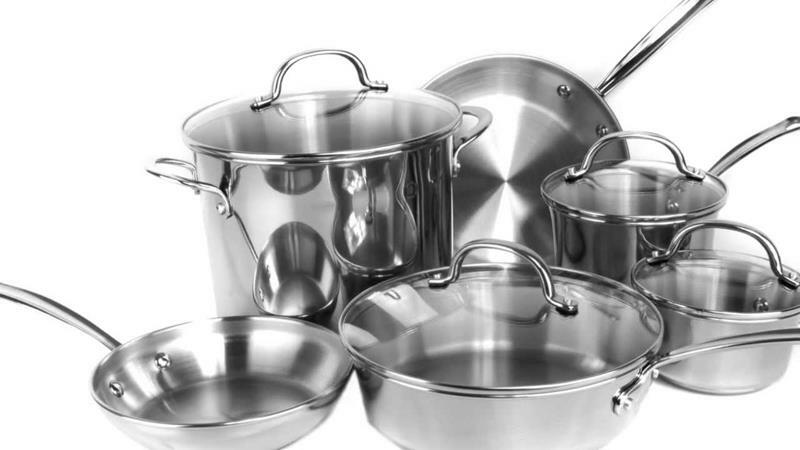 The interior cooking surface of the pots and pans is made from high-quality 18/10 stainless steel. Speaking of edges, take note of the tapered edges around the tops of the pots and pans; these are present to allow drip-free pouring, something that can really ease your burden when you’re whipping up a complex gourmet meal. Note also the long handles on the skillets and pots. Not only are these handles exceptionally comfortable in the hand, they also manage to stay extraordinarily cool while cooking, something any home cook can appreciate. This set of pots and pans covers all the departments that any home cook could dream of covering, and all with exceptionally high-quality and durability. 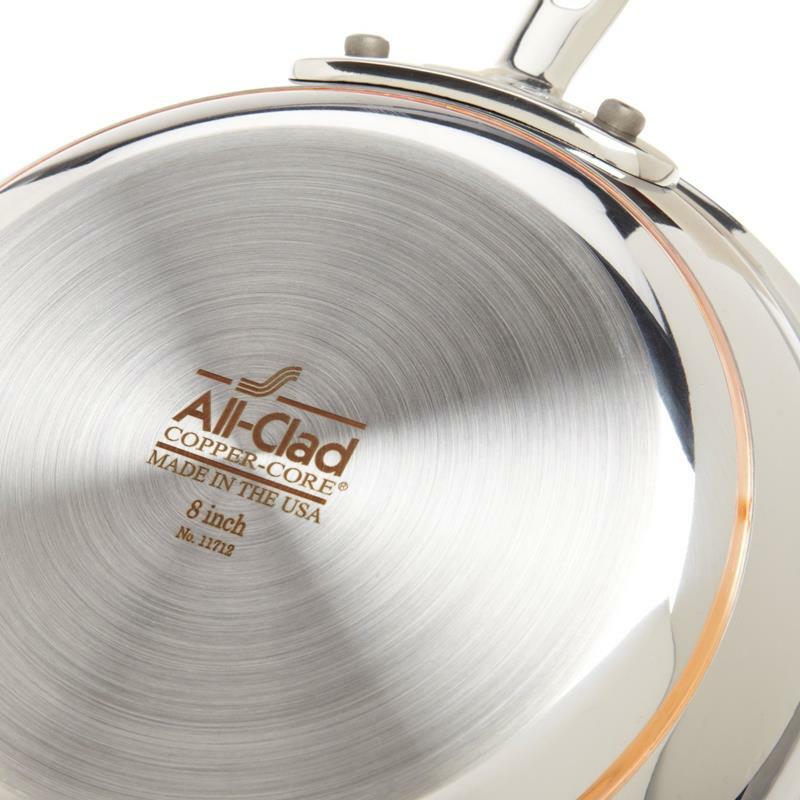 With high-quality cookware like this, it’s always recommended that you wash by hand. However, these pots and pans are dishwasher safe should you ever need to get them sparkling in a pinch. If you’re ready to make the investment, and think that this incredible 10-piece set might be right for you, then you can purchase it on Amazon right here. We may have doubled down on All-Clad, but it’s hard to argue with their brand. 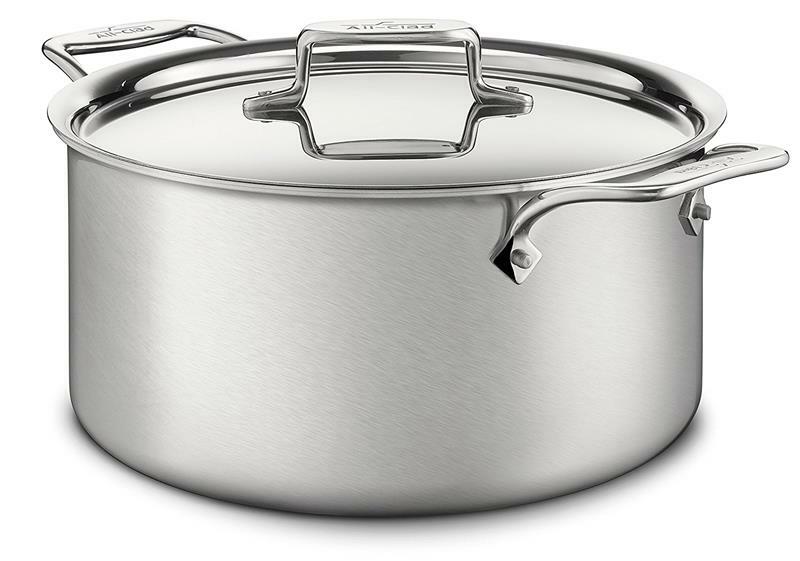 Home cooks and world-class chefs alike dream of their cookware sets, and it’s for good reason. 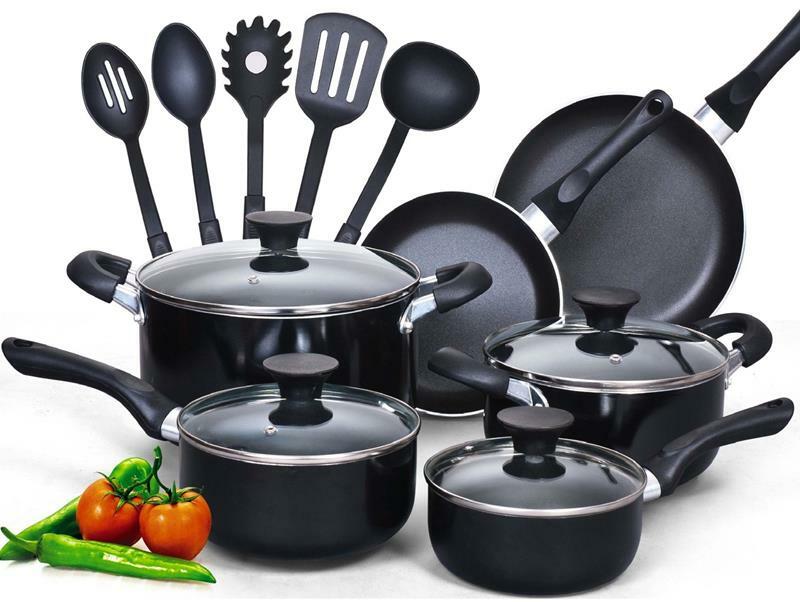 Circulon Premier Professional 13-piece Hard-Anodized Cookware Set: Those of you looking for an induction cookware set that offers non-stick should take a strong look at this set. It offers two fry pans and a large skillet perfect for most cooking uses, along with three saucepans and a large stockpot. While this induction cookware set isn’t the best looking set we reviewed, it’s very workmanlike. It retails for $276.95, too, making it a great entry-level product. KitchenAid Hard Anodized 10-Piece Cookware Set: If the looks of the previous non-stick induction cookware set put you off, then maybe you’ll prefer the sleek all-black look of this KitchenAid set. While it doesn’t feature as many pieces as the previous set, it does make up for that with a slightly better feeling of quality. If you prefer to clean your pots and pans in the dishwasher rather than washing them by hand, though, take note. This set is only certified as dishwasher durable and not dishwasher safe. Farberware Millennium Stainless Steel 10-Piece Cookware Set: This is another of the lower-priced induction cookware sets that we tested, with an MSRP of $98.76. For the price, it’s definitely not terrible, although you’ll definitely feel the flimsiness as compared to the more expensive induction cookware sets that we reviewed earlier. In addition, you’ll find that the thinness of the stainless steel does lead to more sticking than you’d get with a more expensive cookware set. 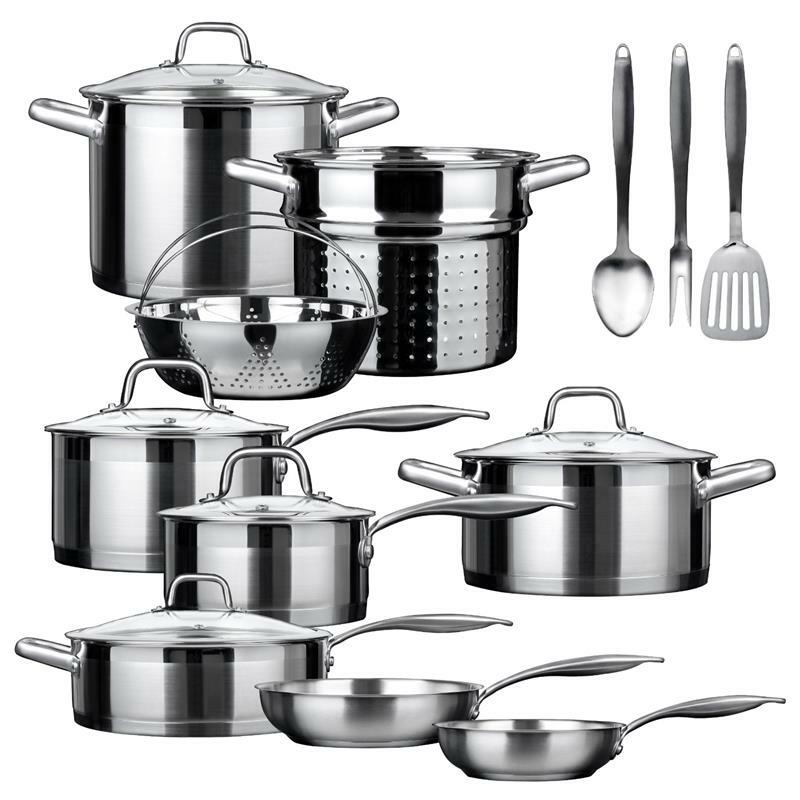 However, if you’re looking for a low-priced stainless-steel set, this could suffice. 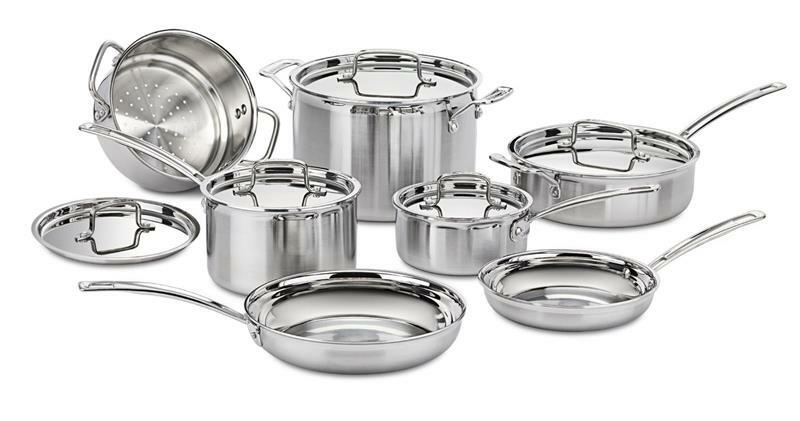 KitchenAid Tri-Ply Stainless Steel 10-Piece Cookware Set: In addition to the non-stick KitchenAid set, we also checked out this stainless-steel one. Were we to have selected a compromise between our best overall pick and our budget pick, this would’ve been it. This set retails for $499.99, but has a quality that would make you believe it could cost a bit more than that. The 3-Ply construction is what really makes this set stand out, as it provides exceptionally even heat distribution, especially as compared to the previous three induction cookware sets. The only thing that holds this set back, though, is the skillet. We wish that it could’ve been full-sized instead of only 10 inches. Lodge Enameled Cast Iron Dutch Oven: If you’re looking for a solid Dutch oven for use on your induction cooktop, then we’d definitely recommend this offering from Amazon. In our testing it worked exceptionally well, and we also appreciated the flexibility you have when it comes to choosing a color and size that will be perfect for your needs. 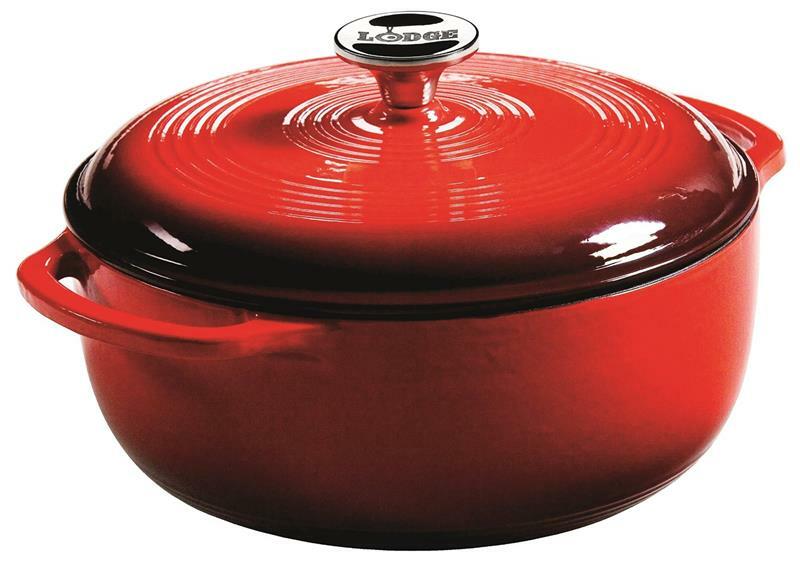 Lodge offers this Dutch oven in 3-quart, 6-quart and 7.5-quart sizes, and the colors range from cool blue to a bold orange. 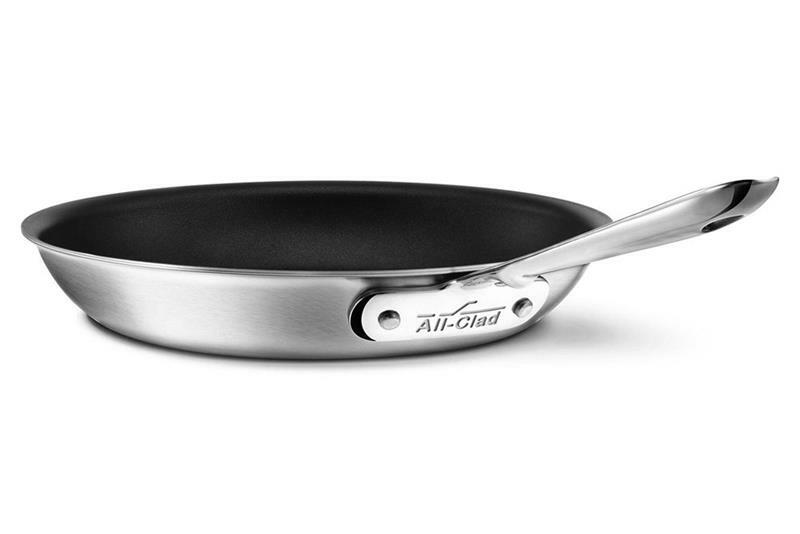 All-Clad D5 Brushed Stainless-Steel Non-Stick Fry Pan: As we discussed above when talking about our pick for the best induction cookware, the D5 line from All-Clad has been optimized for use with induction ranges. It should come as no surprise then, that we absolutely recommend their non-stick fry pan. The best part about this non-stick pan is how even the heat on the cooking surface stays, something that most non-stick pan users won’t be accustomed to. Now, this pan doesn’t come cheaply, with a $224.95 MSRP, but it will definitely be money well spent. 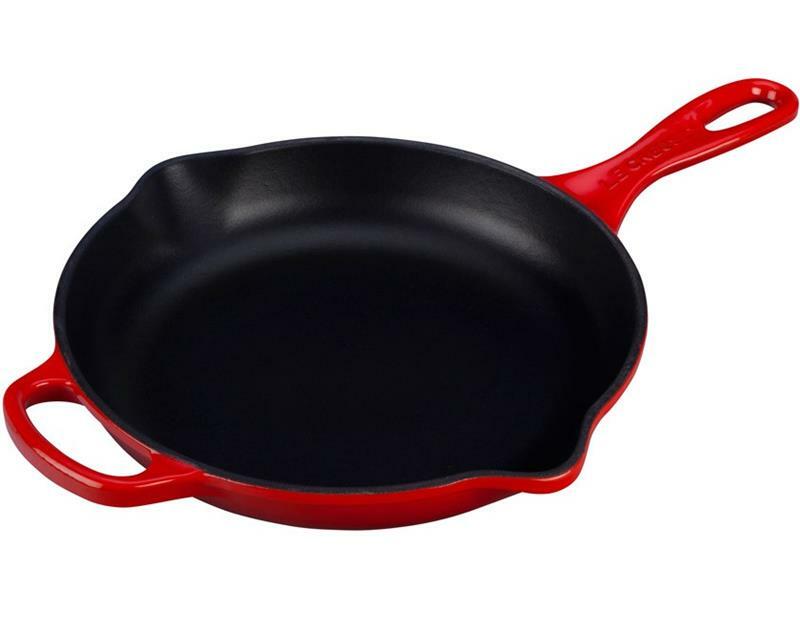 Le Creuset Enameled Cast-Iron 11-3/4-Inch Skillet: If you thought you’d have to give up the cast-iron life when you got an induction cooktop, then think again. Cast-iron skillets can work exceptionally well through this cooking method. If you doubt this, then we recommend this high-quality cast-iron skillet from La Creuset. It’s solid and durable, easy to maintain, and also features two convenient pour spouts on either side of the pan. Given that cast-iron skillets are purchases for life, you’ll also appreciate the lifetime warranty that backs up the quality of this MSRP $189.95 product. All-Clad Copper-Core 14-Inch Open Stir Fry: While you could make a stir fry plenty well enough in one of All-Clads large high-sided skillets, nothing compares to doing so in a wok. Thanks to the high-quality steel and copper core used to create this exceptional wok, you’ll be assured of having even heat across both the bottom and sides of the wok. In addition, the cooking surface for this stainless-steel wok is non-stick, which obviously has tremendous benefits when you’ll be cooking at such high heat.